This weekend Culver City will be hosting the 57thannual Fiesta of Gems. There will be educational opportunities for children and free demonstrations as well as workshops. The event will open on Saturday at 10 a.m. and go to 6 p.m. Sunday hours will be 10 a.m. to 5 p.m. The Fiesta of Gems is held in the Veteran’s Memorial Auditorium, 4117 Overland Ave. Martin Feinberg, Realtor, notes that this year the featured gem is jade. Jette Sorensen, a workshop leader, said that in previous years, visitors have traveled from many different areas to attend the annual event. There is not charge to attend and parking is free. As part of this year’s Fiesta of Gems, skilled jewelry makers will offer workshops featuring specifics on making hand-made jewelry. There will also be opportunities to win hourly prizes. Metz also stated that most workshops will be offered for a fee between $60-$80. Workshop attendees will hopefully leave with a finished product but if they have not completed their design they will have access to the leader’s phone number so they can receive guidance on completing their jewelry. The first two workshops will begin simultaneously on Saturday from 10:00 a.m. to 1:45 p.m. One workshop is on metalsmithing-fusing on Argentinian silver rings, and the second workshop will demonstrate how to make a Byzantine Chainmail bracelet. On Saturday from 2:15 to 6 p.m., an enamel basics demonstration will be offered. 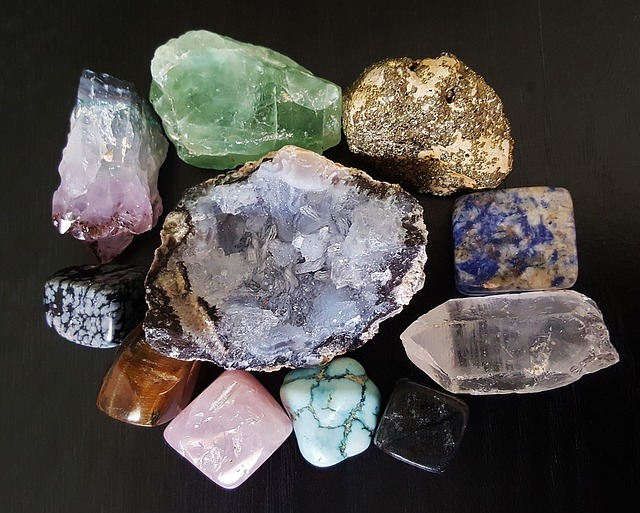 The same workshop will be offered again on Sunday from 10 a.m. to 1 p.m. On Sunday there will also be a crystal-healing workshop from 10 a.m. to 12:30 p.m., A stone-on-stone workshop from 1:30 p.m. to 5 p.m., and a netting bracelet beading workshop from 1:45 to 5 p.m. According to Metz, there will also be hands-on opportunities for kids to learn about geodes (including breaking rocks a part to look for crystals) and identify different types of rocks. Forty vendors are scheduled to come to offer free demonstrations and a representative from the Gemological Institute will be in attendance at the Fiesta of Gems as well. Martin Feinberg, local listing agent, was pleased to learn that, as in years past, a portion of the proceeds from the workshops will be donated to a Culver City Real Estate area charity.